A Large Expanse of Sea follows Shirin, a young teen, coming of age, in the year after 9/11. It’s 2002, and Shirin has learned to deal with the rude stares and degrading sneers from her peers. 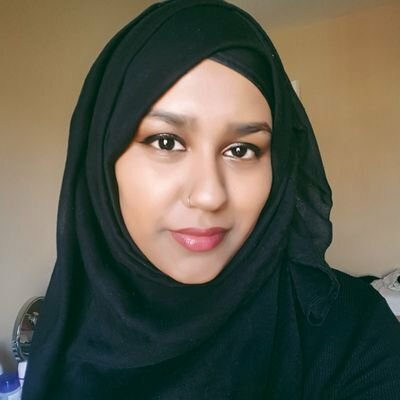 She builds her walls to protect her from a world that threatens to harm her because of her race and the hijab she chooses to wear. Rather than interact, she delves into her love for break-dancing with her brother. Until she meets Ocean James, and for once someone wants to know her for her. But Shirin’s not too sure if she’s ready to break down the walls she set up. Shirin and her family are experts at moving. City to city, school to school. The cycle repeats itself for Shirin all her life. Her parents striving for better jobs, thus a better life for their children. But they don’t see how Shirin is suffering. So Shirin find a new form of happiness in breakdancing and music, which helps Shirin in her isolation. I’m honestly blown out the water by this book. I didn’t expect to be so wholly enchanted by Shirin. There is so much longing and pain in this story, and I love how Shirin never back down. She stood by her belief where the most comfortable option would’ve been to back down. You see how hurt she is from all that she’s experienced that you can’t fault her for shutting people out. And slowly, she opens up to others around. We watch her grow, in dancing and herself. This story is so precious and so important to me. Everything was so real from the emotions, the characters, and then the ending. The characters were so relatable and hilarious. Even the romance cracked me for once. Shirin and Ocean have my heart. A slow burn that was so tender and sweet. The drama behind Ocean was borderline generic but it was interesting to see how Ocean’s history affected him and I think Tahereh Mafi did the best she could’ve done with the story concerning his part. Rarely do we get to see a Muslim Hijabi teen in a story that revolves around her own coming of age and experiences with romance, but Expanse gives us just that. And I have to thank Tahereh Mafi for that. Years after making herself a household name, Evelyn Hugo is ready, to tell the truth about her rise to fame and what she’s done, and lost, to get there. But she’s shaking the journalism community by plucking unknown Monique Grant to write her story. But Monique is listening as Evelyn begins her tale in the cutthroat world that was Old Hollywood and the stories of her seven husbands along the way. I am starstruck, honestly. This book isn’t my usual go-to read, but after hearing everyone talking about this, I knew I couldn’t miss this out. And I’m glad I didn’t. Seven Husbands indeed one of the best books I’ve read this year. I wasn’t expecting much because I hadn’t heard much about this book apart from “read it now”. It was a compelling read about race, sexuality, misogyny and how you shouldn’t use your short time on earth being someone you’re not. Evelyn recalls her life to unknown journalist Monique Grant, starting from her roots: losing her mother and marrying a man (husband number one) to leave her the dead end city and into Hollywood to make her name with the stars. Evelyn is unapologetic and cunning. She learns to play the game and uses everything she can to prove herself. She’s her own saviour in a world that wants nothing more to do with her. I was so in love with her story. The story explores her Cuban heritage and bisexuality. And it is phenomenal. The writing and pacing are impeccable and had my heart racing with every page. This book really surprised me. Rarely do books steal my heart so quickly and within the first chapter. Monique, in my opinion, was sorely underutilised. It’s not her fault that Evelyn’s story was so overpowering that it literally takes all your attention but a second read through is needed to appreciate her again. She’s an unknown journalist requested to write the biography of Hollywood’s greatest star. And she has no clue as to why she’s chosen. There are breaks between Evelyn’s chapters where we follow Monique as she processes what she learns from Evelyn and later we learn the bombshell in how she connects to the story. Overall, this was an incredibly well-written story and an utterly brilliant novel. Honestly, if you’re in need of a new read, make sure to pick this one up. While I was looking for non-fiction novels about the history of Bangladesh, I came across this. It wasn’t exactly what I was looking for but, nonetheless, I enjoyed it just as much. A Golden Age tells the story of the Haque family’s experiences during the war from the perspective of Rehana. A Golden Age begins with a newly widowed Rehana who had been declared unfit by a judge and has had her children taken away. By the second chapter, 20 or s0 years have passed. It’s now 1971 and her children have returned, but the shame of what she had to do stays with her all these years. The novel follows Rehana’s life during Bangladesh’s war for independence. As her children become politically involved, Rehana finds herself drawn into the war as well. While her children are motivated politically, Rehana’s desire for her children’s safety drives her through the entire novel. Through A Golden Age, Rehana is more of a witness than an active member, unlike her children. We never witness the full atrocities that the people suffered but we do encounter the result of them through her eyes as we follow her from her home to refugee camps. And not knowing fully what the Pakistan army was doing, we’re thrown into the same tense situation is Rehana in. We learn the real costs of war through the lives of this semi-real family. (I believe Rehana was based on Anam’s grandmother and her experiences) I loved the way she described Bangladesh, the culture, the food, the landscape. My favourite part was beginning of the novel and how Anam introduced the land and country. It was, at most times, so calming and beautiful before everything goes terribly wrong. No one should really think of this as an actual account of what happened but an introduction that can incite further research. A Golden Age is more personal and human, and I felt plenty of emotion while reading Rehana’s story. After purchasing a coin, Tim Harrington starts to have nightmares that become dangerously vivid. When he goes into a coma, his wife, Anna, embarks on a journey and soon learns that an ancient curse is what’s keeping her husband unconscious. She finds herself returning to Paris but her search for the truth goes much further in history. She has no choice but to follow her instinct, even if it means going against scientific logic, history and her own beliefs. Aceldama has an intriguing premise. It was interesting reading this story as this coin is slowly passed through history, impacting the lives of all its bearers until it reached the hands of Tim Harrington. Hazen has created this intricate line of action with a variety of engaging characters. There were moments of great suspense and paranormal detail. I was intrigued by Anna as a protagonist and was attached to her from the beginning to the end as she did all that she could to save her husband. However, for no one’s fault apart from my own, I found it difficult to start this book. I wasn’t at all captivated at the beginning but that did certainly change once everything started going. The mix of different perspectives was hard to follow at first, which was strange because I don’t usually struggle with that. For example, there are scenes set in Jerusalem around AD30 (I think) but the language used didn’t fit into the timeframe. The way some of the characters talked felt too modern for that time period and, to me, it felt jarring. There were moments, especially in the beginning, of info dumping which was a struggle to get through but, overall, it was an interesting read. This is a breathtakingly original rendering of the Trojan War – a devastating love story and a tale of gods and kings, immortal fame and the human heart. 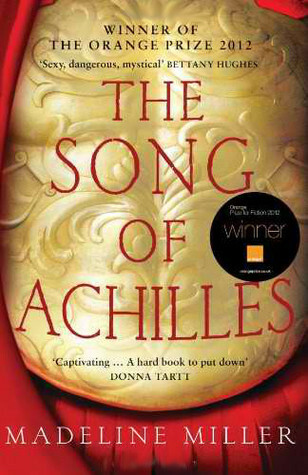 Song of Achilles tells the story of Achilles’ life and the Trojan War through the eyes of Patroclus, the beloved companion and lover of Achilles. This is their love story. 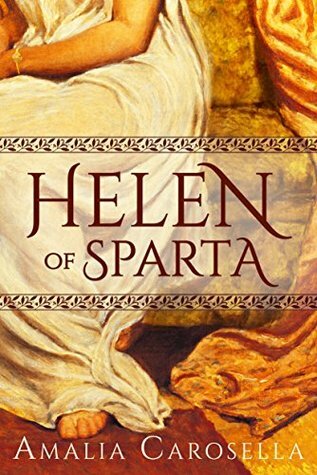 A new take on the Iliad and this novel, faithful in many ways to the characters and events of the Iliad stands on its own merit as a love story. I found using the POV of Patroclus to be particularly engaging. I felt sorry for Patroclus as he grew up: the son who always seems to disappoint his father, no matter what he says or does, always hearing from his father. I thought she did an especially good job presenting the evolution of the relationship between Achilles and Patroclus, the attraction growing as they grew up together. Their love–their relationship– is the heart of the book. I also enjoyed the development of the character Briseis, the girl taken prisoner by Achilles and then taken from Achilles by Agamemnon, and how Miller handled her story. In the Iliad, we never really see them together and don’t get the idea that there’s any special bond between them until Briseis speaks at his funeral, saying she loved him. This novel, with its more intimate scope, shows us this relationship from start to finish. It also gives Briseis a personality of her own, which is tough when your only role in the story is that of human to be traded between other, more important, characters. I think the biggest issue I had with this book was the representation of Thetis. I know the novel needed some sort of antagonist but I didn’t think she deserved to be presented in this way. Especially since we know how much she loves Achilles. Simply put, this is an amazing written story of love and loyalty set amongst the wrath of the gods. An epic novel with action, adventure, a touching romance, mythological creatures, and displays of humanity covering the whole spectrum of good and evil. Absolutely loved it and will likely re-read it in the future (which is rare for me).